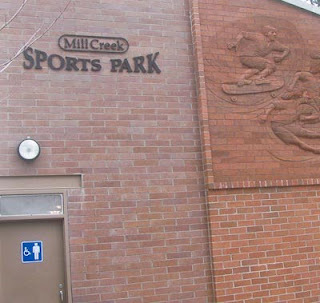 Most days of the week this winter a group of 10 to 12 students and two staff drive four miles north on Highway 527 to Mill Creek Sports Park. 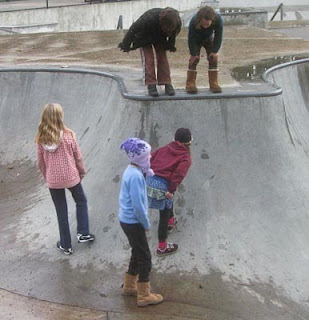 Most of those who go to the park play one or two games of soccer, and a few play in the skate bowl. One day I joined the park group and got to see some soccer action and skate park play, minus skates or boards. 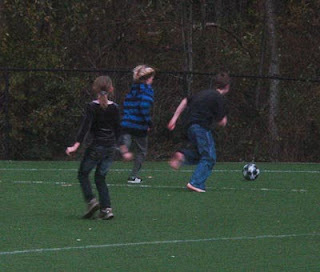 The day I was at the park was cloudy and dark and I didn't get the best soccer pictures. Here are a couple of photos. I'll do another post soon with more soccer pictures from a different day. 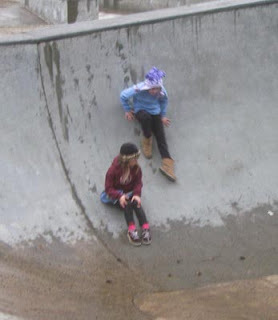 Some of the 7-9 year old girls like playing in the skate park bowl. 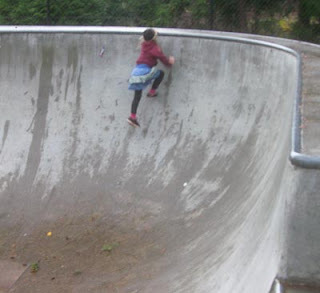 They use the bowl for climbing and sliding. On school days there are rarely skaters there, so they have the skate park to themselves. They get a running start in the base of the bowl and clamber up the sides to the top. 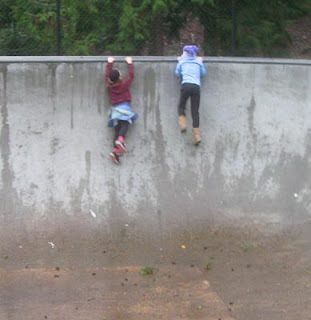 It's especially thrilling to watch these small girls fearlessly run up a nearly vertical wall twice their height, again and again. Then they slide down.